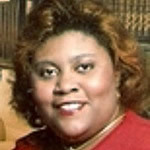 Ingah Davis-Crawford is the Instructional Resources Associate for the Saint Louis University, Law School Library. Ingah received a Bachelor’s of Arts degree in Education from Saint Louis University in 1990. She received a Master’s in Distance Education (M.D.E) from the University of Maryland University College in 2010, and specializes in instructional design and educational theory. In her work at the Law School Library, she collaborates with the Library’s professors in the creation of learning content like the lesson presented here, multi-media learning objects and pedagogy based instruction methods. Ingah is a member of the National Conference of African American Librarians (NCAAL), and the Black Caucus of the American Library Association.